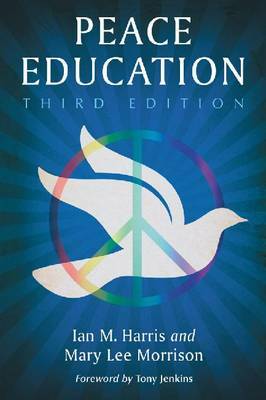 Now in its third edition, Peace Education provides a comprehensive approach to educating for a just and sustainable future. It begins with religious and historical trends that have molded our understanding of ""peace"" and then presents a variety of ways to practice Peace Education in schools and communities and explains how it can empower students. Peace Education appeals to a wide audience of readers including academics, teachers, religious and community educators. The authors, Ian Harris and Mary Lee Morrison, with 60+ years of combined experience in teaching and designing curricula in academic, school and community based settings, show readers the power of a transformative approach to education. They invite students (and teachers) into collaborative, reflective, and experiential learning. Peace Education provides evidence that this growing scholarly discipline has its own theory and content with a solid research base. The teaching and practice of Peace Education provides a basis of valuable knowledge about resolving conflicts and transforming violence without the use of force.